Alright all you loyal readers out there, I’m calling on your knowledge and expertise for some assistance. I’m currently researching Benjamin Butler’s intelligence gathering and spy network for my New Market Heights book. As many of you know, Butler was able to maintain one of the best spy networks of any army during the war, even going so far as to plant two spies in the White House of the Confederacy. He also had a top notch set of signalmen that observed and reported enemy movements. While most sources out there acknowledge this prowess, no work that I have yet found actually gives the details of this spy network and intelligence gathering. So the question is – do you know of any good sources on this subject? If you do, I’d be much obliged! 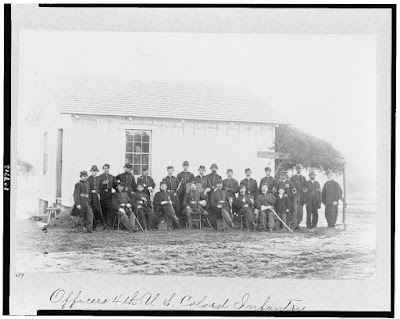 Anyone familiar with Civil War photography has most likely seen the photograph below, taken at a picket station near the Dutch Gap canal in 1864. However, Noel Harrison over at Mysteries & Conundrums has discovered a different and altogether more fascinating use of this famous picture of USCT's. 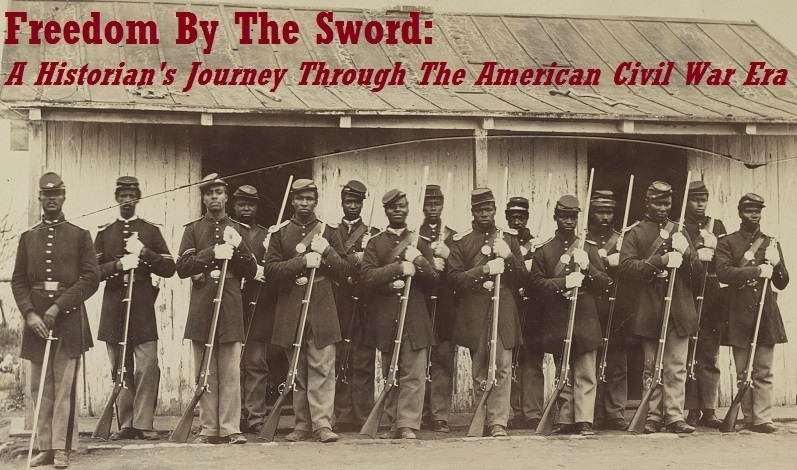 The New Bern Historical Society will be hosting a USCT Symposium from May 6-9, 2010. Why Ijames would be asked to speak at a symposium on United States Colored Troops is beyond me. Seems kind of inappropriate, but hey – what do I know? Anyway, check out the website for what should prove to be a very interesting exchange of ideas. Oh, and the best part? It’s free! In case you're not familiar with Brett Schulte's great blog Beyond the Crater, be sure to check it out. If you're as fascinated by the Richmond-Petersburg Offensive as I am, you can literally spend days browsing through the great wealth of material that Brett has compiled. He has a second blog that's also worth your time called TOCWOC. 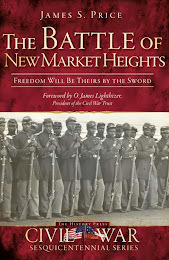 I was honored when he asked me to write Beyond the Crater's battle summary for New Market Heights, which you can find here. While I realize that doing a Google search is hardly a scientific survey, my curiosity got the best of me today and I decided to go ahead and type in “usct sesquicentennial” just to see what would pop up. What I found was interesting, to say the least. One of the first things that popped up was Joe Certaine’s latest blog post about the Descendants of Jubilee Project’s efforts to have the United States Colored Troops awarded a Congressional Gold Medal for the vital role they played in bringing about Union victory. Next was some information from the website of The United States Colored Troops Living History Association followed by a neat site offered by the Arkansas Sesquicentennial Committee listing USCT regiments that were organized in that state. Next came this blog, which made me happy. What I read a few entries down, on the other hand, did not make me happy. 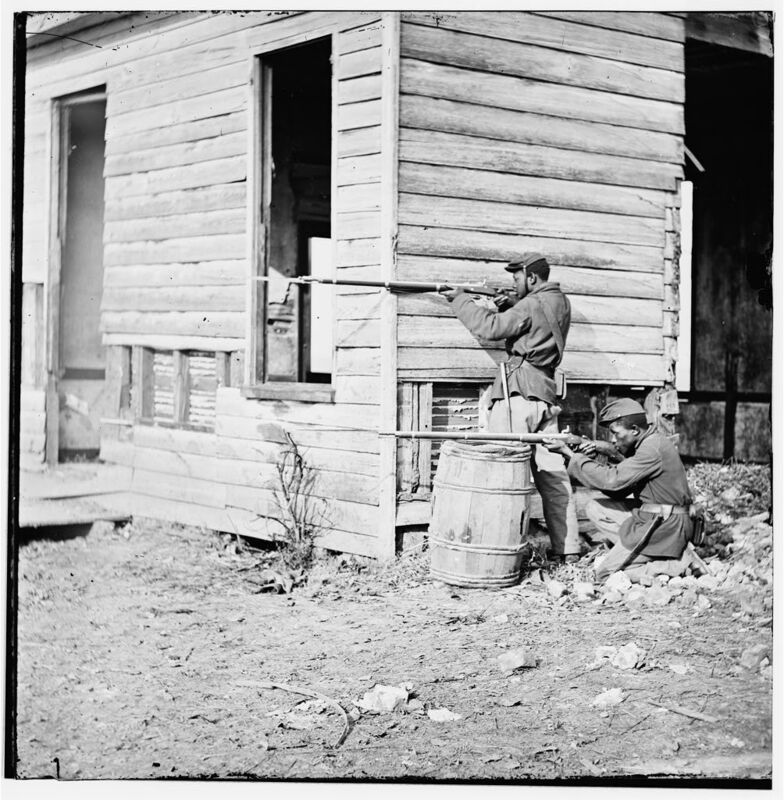 To listen to modern day historians, one would think that the Confederate army had a take-no-prisoners policy when it came to black union soldiers and that the always courageous/always well-behaved USCT won the war for the Union. 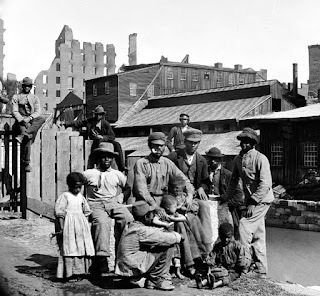 We are bombarded about stories of confederate atrocities perpetrated against United States Colored Troops, but we seldom hear anything about the behavior of the USCT themselves. We are left with the impression that the USCT were brave and well behaved and of course, were cruelly discriminated against by their opponents simply because of their color. While it is common these days for neo-abolitionist historians these days to criticize our “Civil War Memory”, it would appear that they have some memory deficits of their own. It turns out that this was reposted from the website of the Georgia Heritage Council – get this – IN HONOR OF BLACK HISTORY MONTH!! Other entries in the series included titles like The USCT at the Crater – ‘No Quarter to the Rebels’?,The USCT as Prison Guards, and – my personal favorite – The USCT – Yankees Behaving as Yankees often do – Badly! So it would appear that the diehard wing of the SCV/Lost Cause crowd has stooped so low as to try and defame and slander members of the United States Colored Troops. Personally, I’m not very worried about this as the influence of such “heritage groups” does not extend very far beyond its own supremely irrelevant circle. Cherry picking “bad” behavior from The OR can be seen clearly for what it is for most reasonable people. What is slightly more alarming is that this was the 9th entry on the first page of my Google search. 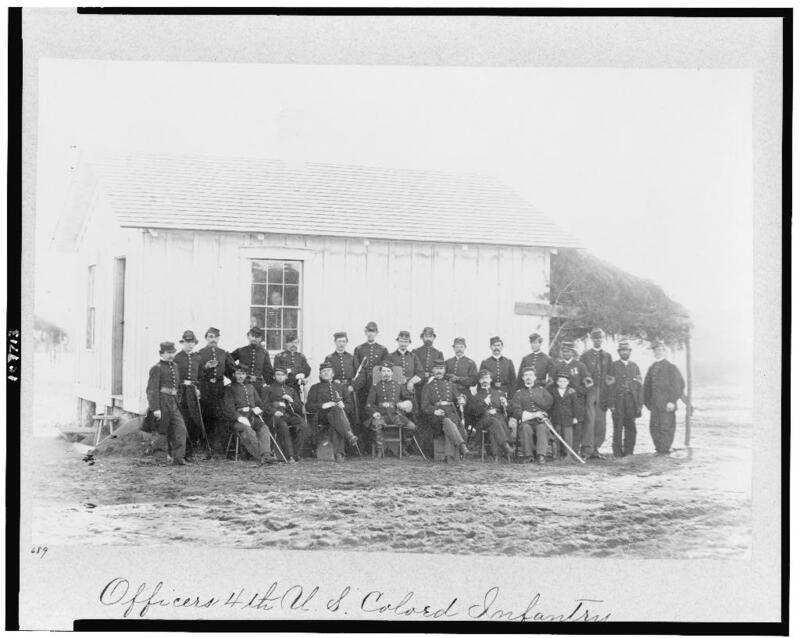 For the Sesquicentennial Committee that I belong to, I’m confident that United States Colored Troops (both good and bad – and watch out for the ones who guarded prisoners, whew doggies!) will figure prominently in the commemoration. It is my hope that other committees can and will make the same claim. If you belong to a committe that is doing so, feel free to share your events on this blog. Check out the article on April 10th's USCT event and the descendants of Sgt. Edward Ratcliff. If you happen to find yourself at the Civil War & Emancipation Day celebration at the Tredegar Ironworks tomorrow, be sure to stop by the NPS building and say hello! I'll be manning a table for my employer all by my lonesome and will likely need somebody to talk to. This should be an interesting event and I've heard tales that CNN may show up, thus ensuring that the Confederate Heritage Month controversy will never, EVER go away. Ugh. Veterans of the 54th Massachusetts parade past the Shaw Memorial on May 31, 1897. From the collection of the Massachusetts Historical Society. Your humble blogospondent has just been informed by the History Press that they would love to work with me on a Sesquicentennial history of the Battle of New Market Heights. This book will be in the same series as Eric Wittenberg's new Brandy Station book and will be the first full-length treatment of the battle. As you all know, it’s one thing to read about an event for an extended period of time and ponder its various meanings. It’s quite another to come into contact with its direct legacy. When you think about New Market Heights, you think about courage in the face of adversity, a chance to right wrongs, a neglected display of valor, and an important step in the overall march to Federal victory. But yesterday I came in direct contact with the legacy of this symbolic fight when I met five descendants of Sgt. Edward Ratcliff. Ratcliff was a Virginia slave who abandoned his master to put on Union blue, eventually becoming a sergeant in Company C of the 38th USCT. He was also one of the “Forgotten Fourteen” who won the Medal of Honor for taking over command of his company and being the first man to enter the Confederate works on September 29, 1864. After the war, Ratcliff became a farmer in York County, VA where he lived out the rest of his days, dying at the age of 80 in 1915. And after that, the memory of New Market Heights, the contributions of African American soldiers, and the fact that there was a Medal of Honor winner among the black community in York County began to fade from memory. As time drifted away, so too did the Ratcliff family (at some point along the way even the spelling of the last name changed to “Radcliffe”). As one descendant told me yesterday, Sgt. Ratcliff’s granddaughter constantly regaled family and friends with the stories of her grandpa, the hero who won a medal of honor. Apparently, she told the story so many times that people began to doubt her and as the Reconciliation narrative of Civil War history slowly took over, who could blame someone for being dubious about a black man winning the Medal of Honor during the Civil War? Did black men even fight in that war? Thankfully the family has begun the process of reuniting and looking back at their heroic ancestor. There’s even a rumor that a distant family member living up north has Ratcliff’s Medal of Honor. All I know is that relating the history of the Battle of New Market Heights to the Radcliffe family was a once-in-a-lifetime opportunity and I am thankful I had the chance to do so. It is my hope that I can keep in touch with the Radcliffe’s and incorporate them into the Sesquicentennial Commemoration that has already begun. As more and more people find out about the battle at New Market Heights and the men who fought there, we inch closer to the day when talk of preserving and interpreting the battlefield becomes a reality. 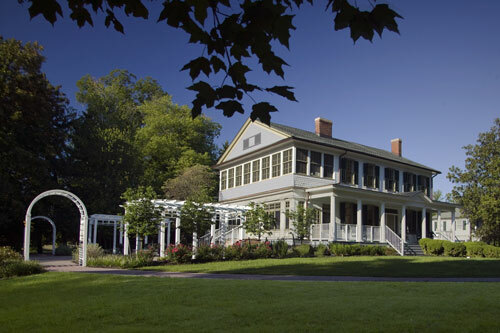 If you happen to find yourself near Richmond this Saturday, I’d like to invite you to attend Henrico County’s “African Americans in the Civil War” event at the historic Armour House. The Armour House is in eastern Henrico off of Creighton Road, at 4001 Clarendon Road. At this event you will be able to interact with members of the re-created 38th USCT, view exhibit panels on New Market Heights, and find out more about the men who won the Medal of Honor by listening to talks given by yours truly. Most exciting for me is that I received word today that six of the descendants of Sgt. Edward Ratcliff will be attending the event (for more on Ratcliff’s descendants see here). Ratcliff was in Company C of the 38th USCT and was one of the fourteen Medal of Honor winners. The event will run from 10:30 AM – 2:00 PM. For more information call (804) 652-3411. In addition to the anniversaries of Shiloh and Saylers Creek, April 6, 2010 also marks the 145th anniversary of the day that some of the heroes of New Market Heights were awarded their Congressional Medals of Honor. 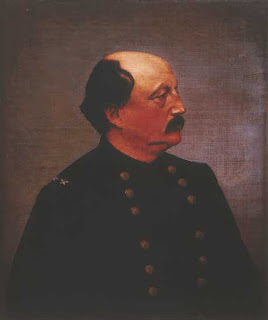 The genesis of this important event started immediately after the battle when Union general Benjamin Franklin Butler proposed the idea of promoting men like Christian Fleetwood and Powhatan Beaty to officers for their heroic deeds on the field of battle. In spite of the fact that there were a handful of black officers in the Union army already, the War Department demurred and instead decided to issue the Medal of Honor to some of the names that Butler had put forward. William Barnes, Powhatan Beaty, James Bronson, Christian Fleetwood, James Gardiner, Alfred Hilton, Milton Holland, James Miles, Alexander Kelly, Robert Pinn, Edward Ratcliff, and Charles Veal would all be issued their medals on April 6, 1865. Look closely at the photograph below. It was taken in April of 1865 at Fort Slocum in Washington DC. If you look at the gentleman fourth from the right you’ll see Sergeant Major Christian Fleetwood wearing his newly-issued Medal of Honor. By the authority vested in me by Google and their subsidiary Blogger I hereby proclaim April to be United States Colored Troops month in the Commonwealth of Virginia! 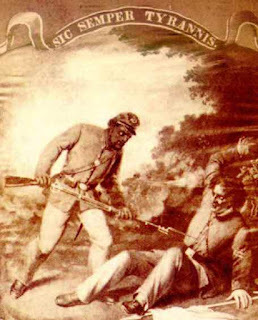 Fox’s Regimental Losses in the American Civil War states that 5,723 African Americans from Virginia joined USCT Regiments. By focusing solely on the state's Confederates, Governor McDonnell, you ignore Virginians like Powhatan Beaty – a slave born in Richmond who would return to the place of his birth as a Union soldier, winning the Congressional Medal of Honor for leading his unit in a charge at New Market Heights. For more responses to the guv’s goof, see here, here, and here. While the last USCT units were not mustered out of Federal service until 1867, a portion of their mission came to a dramatic close on April 3, 1865 when units of the newly created 24th & 25th Corps (all United States Colored Troops) proudly entered the Confederate Capital. 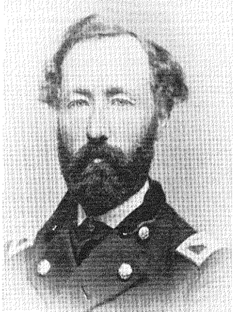 Amongst those entering the city was Colonel Alonzo Granville Draper, who had led the second assault at New Market Heights that successfully broke the Confederate line. A vast multitude assembled on Broad Street, and I was aroused amid the shouts of ten thousand voices, and proclaimed for the first time in that city freedom to all mankind. After which the doors of all the slave pens were thrown open, and thousands came out shouting and praising God, and Father, or Master Abe, as they termed him. In this mighty consternation I became so overcome with tears that I could not stand up under the pressure of such fullness of joy in my own heart. One of the incidents that Draper was referring to was the freeing of all of the slaves kept penned up in Lumpkin’s Slave Jail. Robert Lumpkin, one of the leading slave merchants in Richmond and the namesake of the infamous jail, had attempted to get the slaves in his posession out of Richmond during the evacuation. The train that he attempted to put them on was the same one that spirited Jefferson Davis and other Rebel leaders out of the city. Thus, Lumpkin marched his slaves back to the jail, where they would be freed by USCT’s just hours later. Among the densely crowded concourse there were parents looking for children who had been sold south of this state in tribes, and husbands came for the same purpose; here and there one was singled out in the ranks, and an effort was made to approach the gallant and marching soldiers, who were too obedient to orders to break ranks. While the African American population of the city was rejoicing, the other inhabitants of Richmond were watching their world turn upside down. Fannie Walker, a copying clerk in the Confederate Bureau of War, lived through the nightmare of the evacuation fire only to emerge the next day to see a member of the United States Colored Cavalry exclaim, Richmond at last! As it turned out, Walker had little to fear as these men and their white counterparts were quickly put to the task of putting out the remaining fires that threatened the city. 145 years ago today, Richmond was no longer the Rebel capital. Instead, it was one of the first cities forced to deal with the new paradigm shift brought about by Union victory.